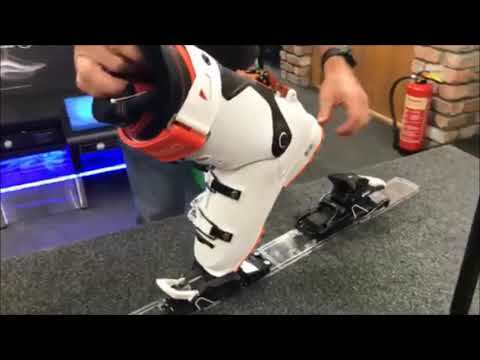 DOWNHILL PERFORMANCE: Using a simple lever in the toe, you can confidently transition from touring in a pin binding to a true alpine binding (toe and heel) with a 13 DIN for charging downhill. Plus, with 47 mm of elastic travel (same as the legendary STH2), the SHIFT's long toe wings offer top of the line energy transfer and efficiency. TOURING CAPABILITY: The S/LAB SHIFT utilises a pin toe design for touring, enabling full range of motion when hiking and kick turning. With an easy step-in, convenient switch between ski and tour modes and fast and intuitive access to the climbing aids, the SHIFT makes it quicker and easier than ever to get to untracked lines. Not to mention it weighs in at only 1.7kg/pair! MULTI NORM CERTIFICATION (MNC): Offering Multi Norm Certification (MNC) and an adjustable toe pedal, the S/LAB SHIFT is the only hybrid binding that is compatible with all norm boots on the market.